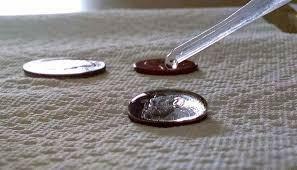 Children in all classes spent Wednesday afternoon dripping water onto coins in the name of science! They did of course go through the processes of planning a fair test, creating hypotheses and predictions, controlling variables and creating conclusions from their results... but they had fun doing it. They could see the dome of water sitting on the coin with the meniscus which fascinated many. Thank you to Mr Lloyd who organised the day successfully. Why not try this at home? Which holds more water; heads or tails? Is it different if you add a drop of washing up liquid to the water? We would love to see any investigations you have done at home.